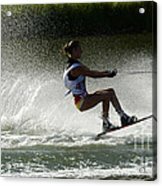 There are no comments for Water Skiing Magic Of Water 16. Click here to post the first comment. A water skier shows the beauty of the sport and the magic of water.